Srinagar: All the flights operating to and from Srinagar Airport on Wednesday have been cancelled due to continuous snowfall and poor visibility while the weathermen have forecast inclement weather for next 48 hours till Friday. Officials at the Srinagar Airport said that the snowfall has led to low visibility and as such all the flights operating at the airport have been cancelled. 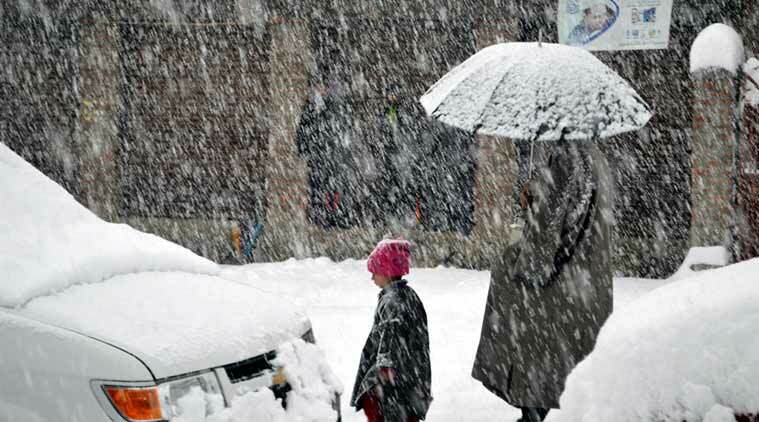 Snowfall started in Kashmir valley Wednesday morning. While it has been snowing in valley, parts of Jammu have received heavy overnight rains.